Hi! It's Barb and I am back to host the blog again today! It is so hard to believe that it is already November! Christmas is going to be here before we know it! 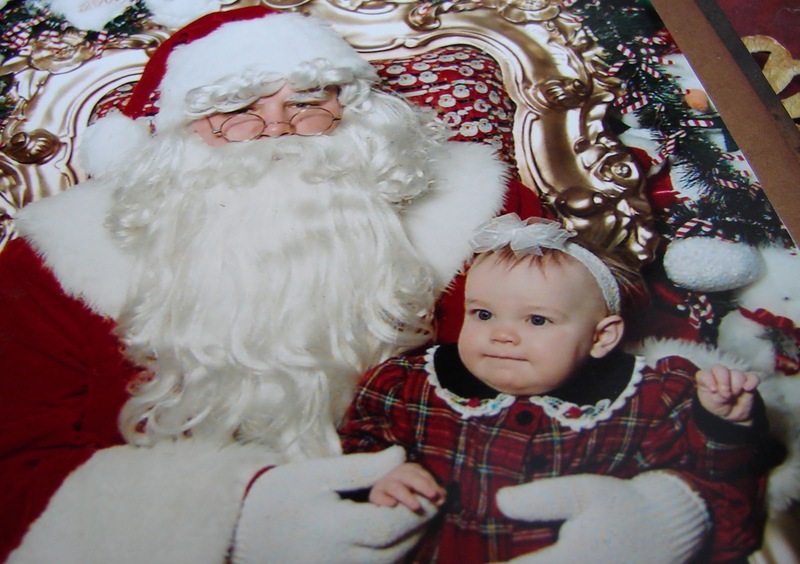 To get me in the Christmas spirit, I created this layout of my daughter's first Christmas. 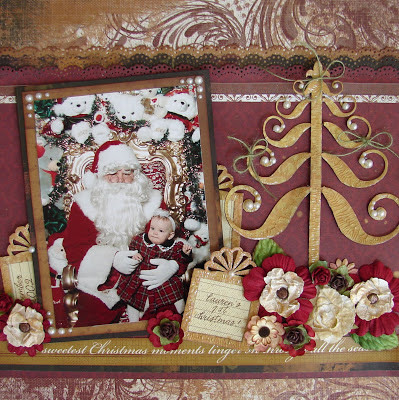 When I was making this layout, I wanted something I could frame and use as part of my Christmas decorations year after year. 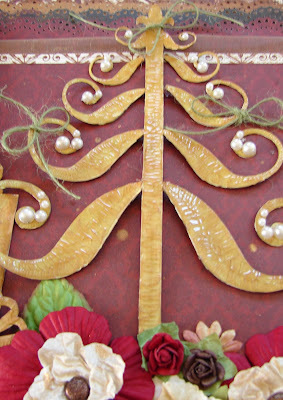 The colors and patterns in the Cracklin' Rose line are so rich and elegant... so perfect for this kind of project! 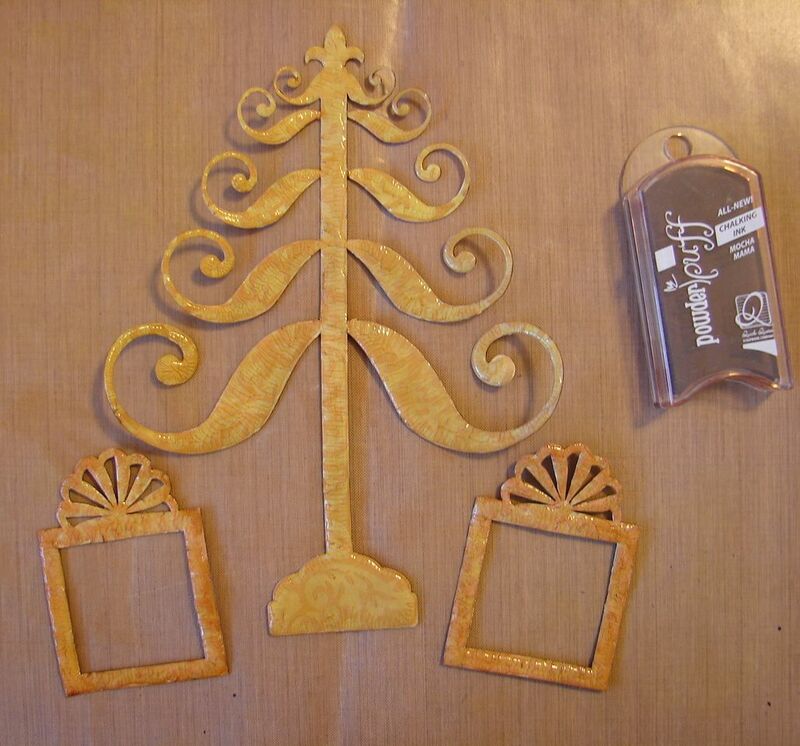 The tree on this layout is a chipboard laser die cut - Christmas Tree. 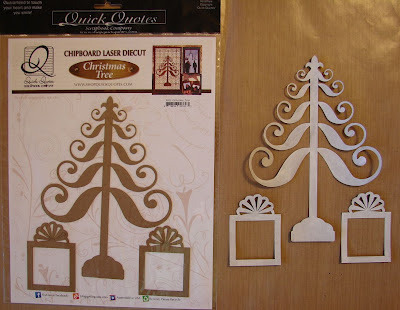 One of the things I like best about Quick Quotes chipboard products are that they are so easy to alter. Let me show you how I got my tree to look like this. I started by painting the tree with white gesso. I wanted to give it a light colored surface to ink over later. 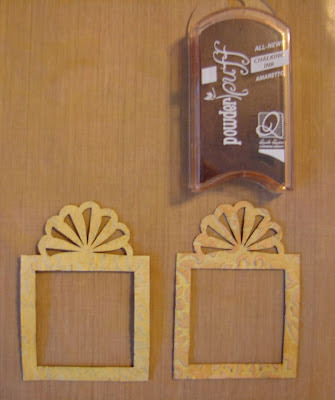 You could also use white craft paint for this. Quick Quotes has a wonderful variety of colors with their PowderPuff Chalking Inks but I couldn't find the exact color I wanted for this tree so I decided to create my own. Once the white gesso dried, I inked each piece with PowderPuff Chalking Ink in Lemonade. Once that was dry, I went over the Lemonade color with Biscotti. 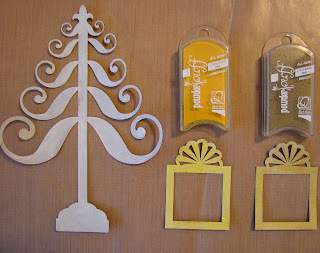 This gave the chipboard the golden color I was going for. 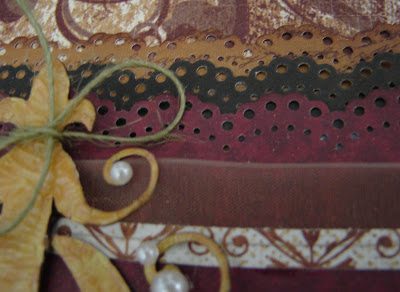 Once the ink dried, I pressure embossed the chipboard using my Cuttlebug to add some design and texture. 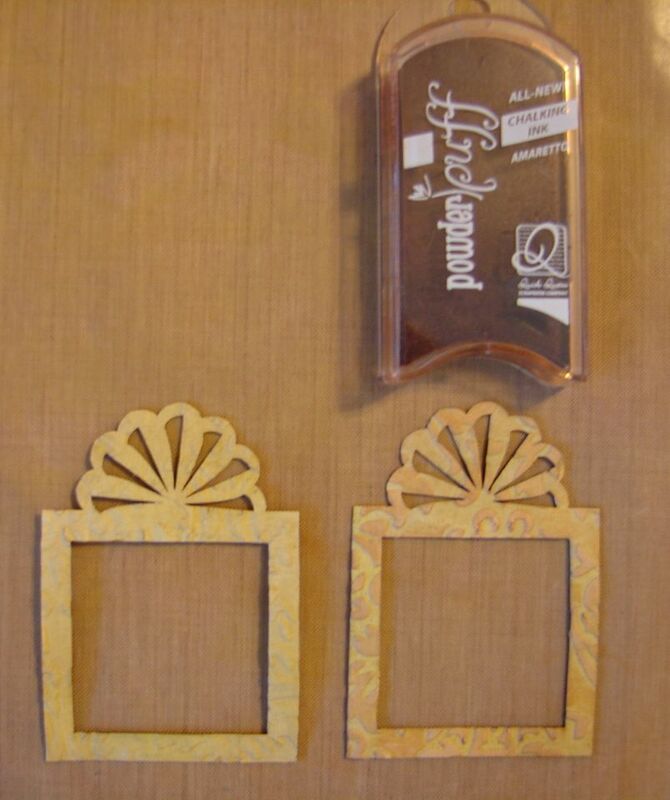 The present on the left is what it looked like before embossing. The present on the right shows what it looked like after I added PowderPuff Chalking Ink in Amaretto to the raised portions. 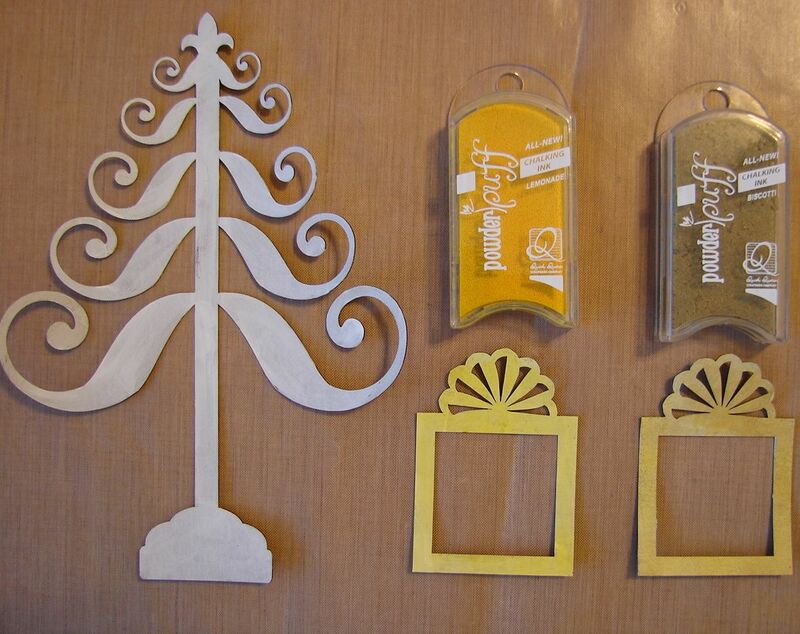 For the next step, I added Crackle Accents to all of the chipboard pieces. Once that was dry, I added even more ink! This time I added PowderPuff Chalking Ink in Mocha Mama. You can see in the photo above the before and after. The presents have the final ink added to them and the tree does not. The combination of ink colors worked perfectly for my layout. I used the presents as my journal spots. I added some Cracklin' Rose paper behind them that had been misted with Shimmer Mist. I used rub-ons for the journaling. I added different sizes of pearls and some colored twine to "decorate" the tree. The double sided papers in the Cracklin' Rose line make it so easy to layer and coordinate perfectly! And I couldn't resist one more look at the photo... doesn't she look like a doll in Santa's arms?! I love the way the layout turned out and can not wait to display it with my Christmas decorations in December! Thanks so much for stopping on over! See you next time!!! Beautiful! Thanks for sharing the ink mixing for your tree color. Really suits the layout well. Gorgeous layout! 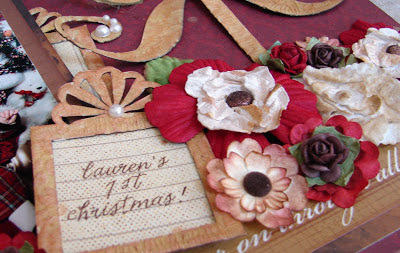 Love how you finished the chipboard! Gorgeous layout! I really need to get more of your wonderful inks! They are so wonderful and juicy!